When Opportunity Knocks.....You’ll want to open this door!! 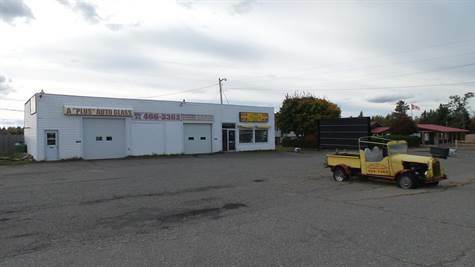 High traffic location, large paved off street customer parking lot and approx. 2000 sq ft of retail/commercial space just begging for your creative ideas. The cozy reception area with large windows allows for free advertising & displays while the work area in the back in wide open to many possibilities! A perfect area for upholstery and storage is already set up and 2 large commercial doors make loading and off-loading a breeze! A 2pc employee bathroom, utility/furnace room and did I mention a ton of storage space…YES…It’s all right here! Please Note: Price does not include HST and is being sold “As Is Where Is”.